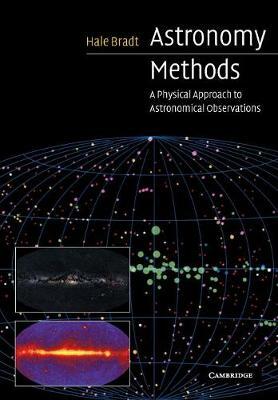 Astronomy Methods, first published in 2003, is an introduction to the basic practical tools, methods and phenomena that underlie quantitative astronomy. Taking a technical approach, the author covers a rich diversity of topics across all branches of astronomy, from radio to gamma-ray wavelengths. Topics include the quantitative aspects of the electromagnetic spectrum, atmospheric and interstellar absorption, telescopes in all wavebands, interferometry, adaptive optics, the transport of radiation through matter to form spectral lines, and neutrino and gravitational-wave astronomy. Clear, systematic presentations of the topics are accompanied by diagrams and problem sets. Written for undergraduates and graduate students, this book contains a wealth of information that is required for the practice and study of quantitative and analytical astronomy and astrophysics.